Sofa cushions online offers you a lot of information about the different styles and materials. Use our styling tips! Ordering your sofa cushions online is a good and fast way to revamp your interior. We always advise our customers to purchase a good 'basic couch'. With a sleek design and preferably in a neutral colour, such as white, black, or an earth tone. You can then, depending on the length of your couch, put 4 to 8 sofa cushions on it, and your couch turns from Swedish mass production into an eye catcher with international class! 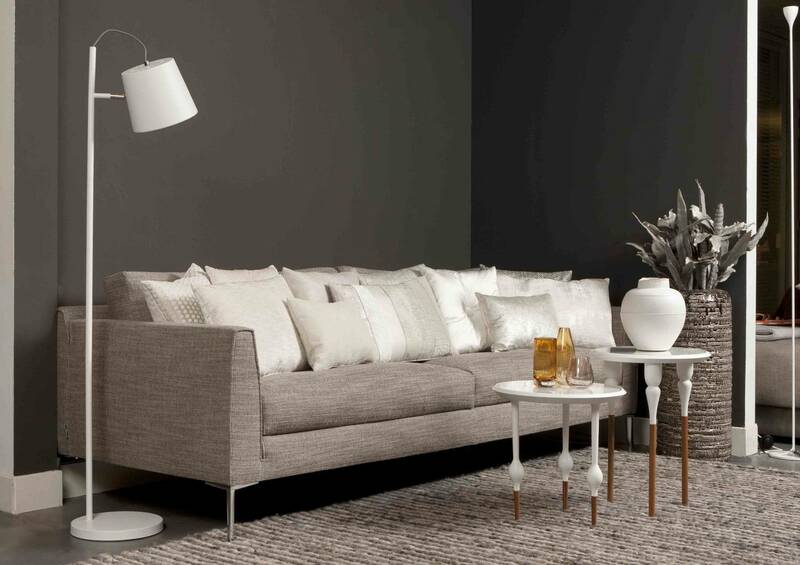 You should take a look at the interior articles in living magazines such as Elle Decor; they often use a strong basic with neutral colours, and fabrics and cushions are used to add the right colour and atmosphere. Maybe you would love to change your interior every year (at least, we do!). That is an option, but quite an expensive one. That is why home accessories are so important. The strong basis you have collected through the years can be dressed up in all kinds of different ways with nice fabrics, great decorative pieces and sofa cushions. This way, you can even change your interior with the seasons. In the autumn, warm colours and soft fabrics are really great, while in the spring, the cool pastel colours look better. Looking at the interiors of for example the internationally reputed designer Eric Kuster, you will notice how often he uses cushions to add a bit of shape and warmth to his sleek interiors. The colours are in alignment. For example in a sleek white interior, he uses cushions in sand, grey, and bronze. Of course, Kuster usually uses shiny fabrics to emphasise a glamour look. Add a cushion with fur or some sequins as a finishing touch of the master! You can quickly get an overview of the sofa cushions that can be ordered online. 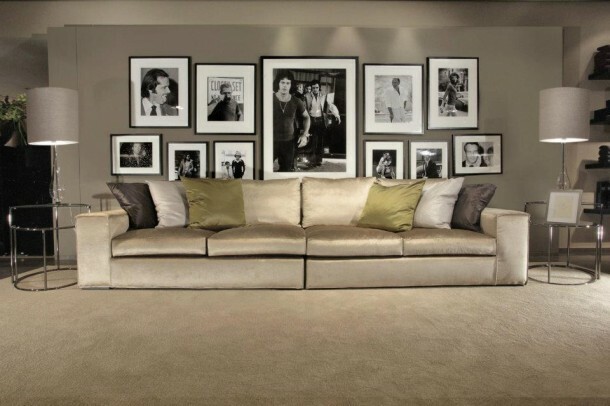 A simple basic couch or armchair will get a very luxurious look with this collection. Many models have a knot of bone, or a Swarovski crystal. How chic is that? Wilhelmina Designs recently added a new brand to the assortment; Claudi. Claudi is known for the high quality sofa cushions. All cushions are exclusively designed by Claudi and are handmade in the Netherlands. In short, a classy product, which is presented with passion and enthusiasm. Therefore, this product and brand perfectly match Wilhelmina Designs. It is exclusive, but very accessible. That last item means that everyone can enrich his or her interior with the Claudi products. A simple basic couch or fauteuil will get a very luxurious look with this collection. You can decide how glamorous you want to be; sequins, shiny fabrics, and nice graphic motives - you can have it all. A special selection is made for the Wilhelmina Designs web shop, made up of a number of different cushions that can all be combined. See for yourself and be inspired by the different fabrics. All offered cushions are in stock. We know how important it is that a model or colour fits in with your interior perfectly, which means that we also offer you the service of returning the products if they do not meet your expectations. This will allow you to see what the sofa cushions look like in your own interior, in order to create a 100% match. Karin Elberse, Claudi's director, guarantees pure passion for interior design in general and interior fabrics particularly. These are at the basis of her successful company. Every year, she presents two new and exciting collections. In order to do this, Claudi cooperates with well-known international fabric houses (near Paris and Milan) and different designers for renewed inspiring ideas. This results in a collection with a unique character and of course, the recognisable Claudi style. Check out a selection of the spring/summer 2014 collection via Wilhelmina Designs online. If you are looking for a specific model or colour of Claudi, please look at the website of Claudi Sofa cushions and contact our customer service. We can order most cushions for you! Black-and-white pictures of Brigitte Bardot are wonderful accessories. Where to put the clock?